Let&apos;s face it. 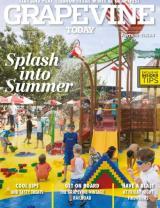 When it comes to food, visitors have a ton of tasty options when they visit Grapevine. 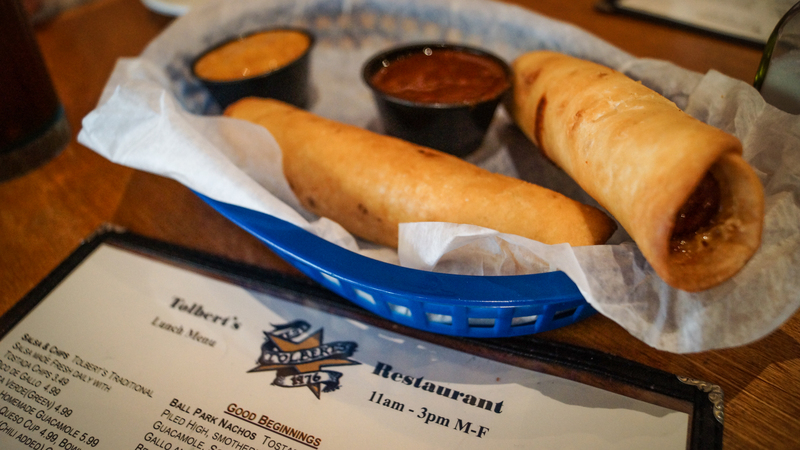 We&apos;ll give you a sneak peek of the five foods that you can only find in Grapevine. Stay hungry and share your pics with us when your belly decides where to go. 1. 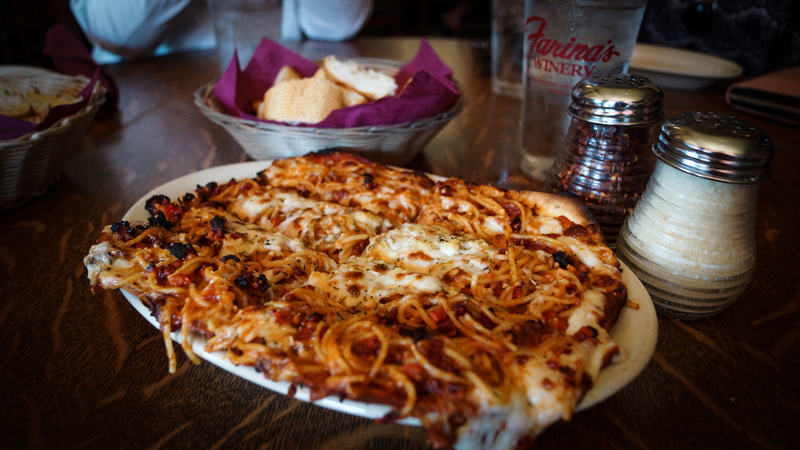 Spaghetti Pizza from Farina&apos;s Winery & Cafe is a unique twist on a Farina family favorite. It&apos;s the best of both worlds. Pizza + Spaghetti = one must-eat menu item the next time you visit Grapevine, Texas. 2. 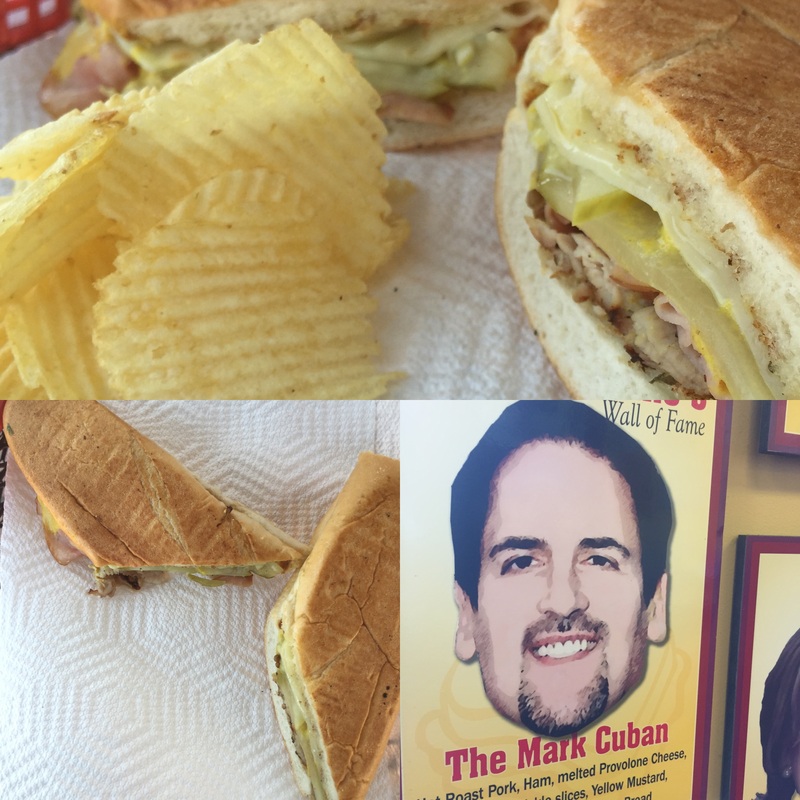 The Mark Cuban from Weinberger&apos;s Deli*. This beautifully crafted sandwich features hot ham and pork that is roasted to perfection. Top that with a helping of melted provolone cheese, Kosher dill slices and you have one tasty sandwich between Italian bread. *Sure, there are a couple of Weinberger&apos;s across the DFW area, but nothing beats the original! 3. Donkey Tails from Tolbert&apos;s Restaurant. 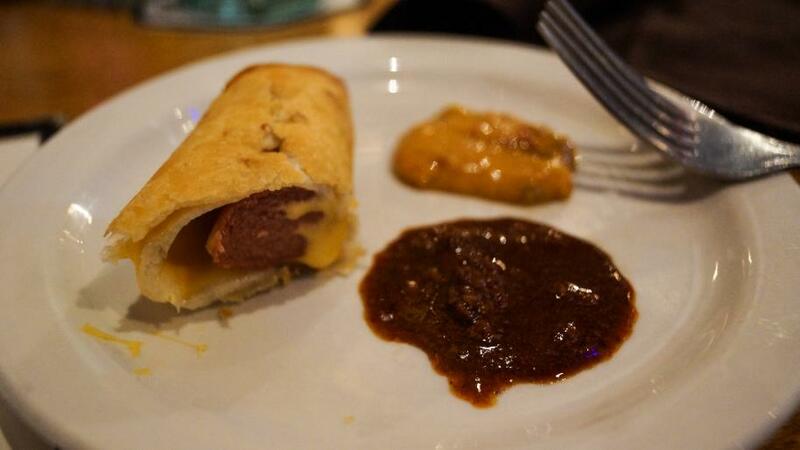 Two all beef hot dogs stuffed with cheddar cheese, wrapped in flour tortillas, then lightly fried. Served with mustard sauce and a shot of chili on the side. The only mystery is how or who came up with this amazing dish. Some say it was a pair of creative waiters who wanted a snack after their shift ended. Others say a man requested it many, many years ago, but then disappeared before the waitress came back with his order. All myths aside, this is one must-have items. 4. 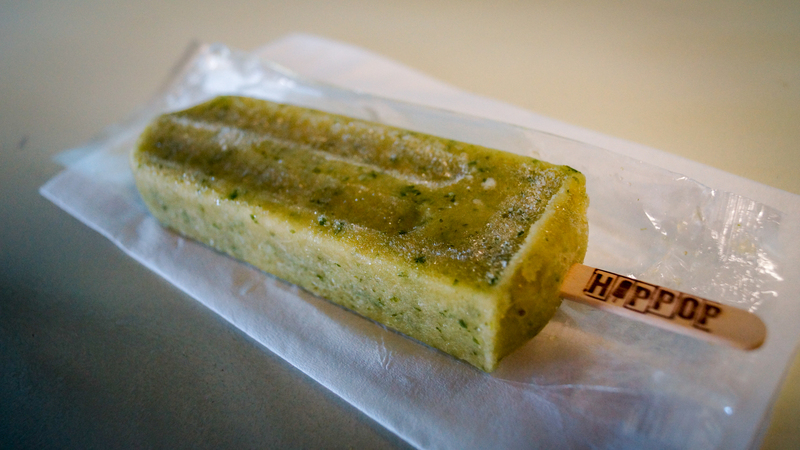 Busta Lime Popsicle from Hip Pop - Although you can enjoy a dozen of their freshly-made popsicles, one you must try is the super tasty Jalapeno Cucumber Lime. Some others to check out include Captain Crunch, Ice Ice Berry and the Tribe Called Zest. 5. 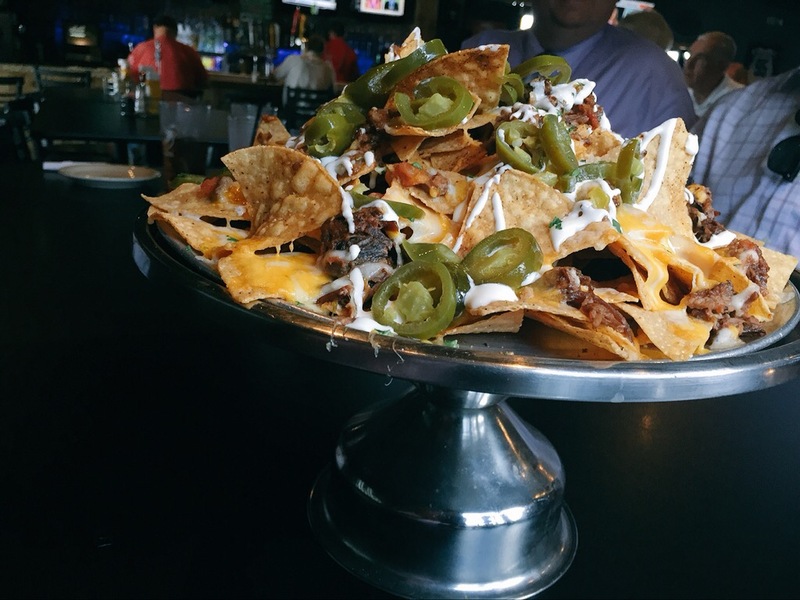 Mile High Nachos from Chill - Hand made chips smothered in your choice of chicken, steak, brisket or ground beef, topped with melted cheese then served with sour cream and jalapenos on top. High five to those brave enough to conquer this marvelous mountain of awesomeness that is served on a cake stand. Still hungry for more? Follow your nose to the dining section of our website for a complete list of all the great local restaurants here in Grapevine.